Lost in the hoopla around La La Land's 14 Academy Award nominations and that a record number 6 African American actors received nominations is the news that Director Ava Duvernay's documentary 13th received a nomination in the "Best Documentary" category. 13th, directed by Ava Duvernay explores the history of racial inequality in the United States, focusing on the fact that the nation's prisons are disproportionately filled with African-Americans. It’s an honor be included in a category with such fine documentarians and to be nominated in a year that truly embraces and celebrates inclusion within our creative community. 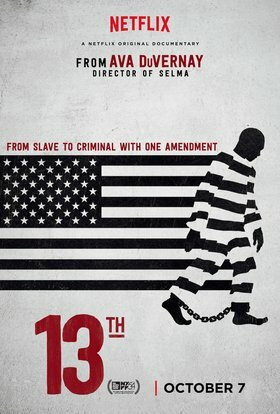 13th was directed by Ava DuVernay and produced by DuVernay, Spencer Averick, Howard Barish. The searing look at mass incarceration in the United States is now airing on Netflix.